If you’re interested in a career in accountancy and finance, this great-value foundation level online course in Accounting Software from industry-recognised AAT is the perfect place to start. Endorsed by huge companies like Greene King, P&G and ASDA, and with 130,000 students and members in over 90 countries, you can sign up safe in the knowledge that you’re in tried and trusted hands. There are no prerequisites to enrol, however it’s recommended that you have a good grasp of both English and maths. This course provides natural progression for learners who have completed the Level 1 Award in Computerised Accounting (Introductory), however, it can also be a starting point for learners who are sure of their new career path or those who already have some bookkeeping skills but would like to formalise them in order to progress their career. You will study all the basics required to navigate accounting software competently, with units of learning including opening balances and journals, sales and purchase ledger transactions, bank and petty cash transactions and the trial balance and data security. What Sort of Job Will I Get? Achieving Level 2 can lead to roles such as clerical assistant, bookkeeper, accounts clerk, finance assistant or accounts administrator. Business owners will also find this course useful in efficiently keeping their own books. On achieving Level 2 you also have the option to progress to the advanced and professional qualifications, which in turn can lead to further career advancement and the potential to become an AAT full member (MAAT) or to study further for chartered status. All course content is available to access into your own time, making it ideal for fitting around already-busy schedules. On average, it should take around six weeks (or around 60 hours of total qualification time) to complete, with a computer-based, time-limited assessment at the end. Study the modules to become confident and competent in using accounting software. Feel confident that you’re using official learning material from Sage, the leading bookkeeping software provider in the UK. Learn Sage 50 using the software included (time limited). Course content is compatible with all devices and technical support is available should you encounter problems. The course incorporates SAGE 50, the UK’s most popular online accounting and payroll software. The learning experience is tried and tested with 97% of learners recommending the award-winning AAT. All course content is designed in consultation with employers, drawing on the practical skills they require from employees, meaning you gain a skillset, not just theoretical knowledge. The useful glossary makes learning new terms and vocabulary easy. Enjoy a personalised online account with access to discounts and study and career support. Study safe in the knowledge that 97% of full members would recommend the award-winning AAT. 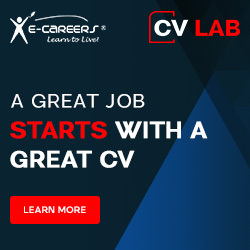 Boost your CV by formalising the skillset you already have or learning a new one. All students must register with AAT within four weeks of starting their course. Sign up to AAT - Foundation Award in Accounting Software (Level 2) today to open the door to career progression by getting qualified with industry-endorsed AAT. Sage 50 software included (180 days access via download). All students must register with AAT within four weeks of starting their course. Thank you for requesting our demo course on 'AAT - Foundation Award in Accounting Software (Level 2)'.